The Foundation is established and then incorporated on 5 July 1983 in Chicago, Illinois, USA. 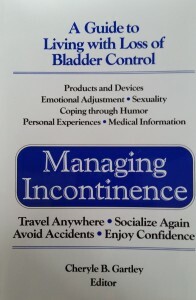 Managing Incontinence: A Guide to Living with Loss of Bladder Control (now in its 6th edition) is the first book ever written for the layperson on the topic of incontinence. Managing Incontinence was re-edited and published in Canada, England and Australia, and translated into Spanish and Japanese. Over 100,000 copies have been sold worldwide. A twenty city/ twenty week Book Promotion Tour by Cheryle B Gartley, co-author and editor of Managing Incontinence began to break down barriers all across America. Ms. Gartley is the first person with incontinence to publicly speak out about the needs of people with incontinence. Ann Landers, a daily advice columnist, cites the Simon Foundation as the source for information about incontinence and directs readers to us. Three days after the column runs, 30,000 pieces of mail arrive at Foundation headquarters (final number of inquires topped 50,000 letters). The National Institutes of Health holds the first Consensus Development Conference on Adult Urinary Incontinence. The Simon Foundation for Continence’s President is selected for the Consensus Panel and to co-author the resulting Consensus Statement. I WILL MANAGE…Physicians and nurses affiliated with the foundation begin the first patient education/support group for people with incontinence in over 200 hospitals throughout the United States. I Will Manage is adapted for use in England and Spain. AARP commissions the Simon Foundation for Continence to develop its first educational program on incontinence, which is launched nationwide by AARP health educators. The Solution Starts with You – the first made for television video begins airing on cable television and on hospital channels throughout America. Continence Worldwide, the first international publication for not-for-profit organizations which serve people with incontinence is published, co-authored by Professor Christine Norton, R.N., Ph.D., (England) and Cheryle Gartley, President of the Simon Foundation for Continence (U.S.) on behalf of the Continence Promotion Committee of the International Continence Society. The first International Conference on Prevention is hosted by the Simon Foundation for Continence in London, England. Medical professionals from around the world spend three days discussing what is known about the prevention of incontinence and determining suggestions for further research in this long neglected area of science. 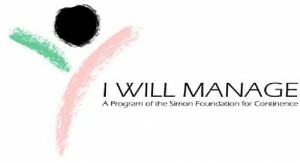 Simon Foundation for Continence hosts the first International Conference on Stigma in Healthcare in Chicago, Illinois, USA, as part of the launch of the Foundation’s third decade of service. A Town Meeting about Stigma, hosted by Martha Teichner of CBS NEWS Sunday Morning, attracts over 100 individuals who have health conditions which are stigmatized. Formal Black Tie Gala for Continence is held at the Chicago Historical Society. This event is the first North American Gala to build awareness of the needs of people with incontinence and to help defeat the stigma surrounding incontinence. The Simon Foundation for Continence commissions the first song written to help defeat stigma, entitled “I Am More”, sung by three time Emmy Award winning performing artist, Gaia Tossing. A premier performance of this song highlights the New Freedoms Awards black tie gala at Navy Pier in Chicago. Jasmine Schmidt, the Foundation’s Director of Education, presents a paper on “The Code and Practices of Toilets in the USA” at the World Toilet Organization’s World Toilet Summit in Beijing, China. The Simon Foundation for Continence, represented by the Foundation’s Director of Education, Jasmine Schmidt, appears on Peter Jenning’s World News Tonight heightening awareness of the needs of people with incontinence. An article entitled “Life with Incontinence” by the Foundation’s founder is published in The Lancet, highlighting to physicians worldwide the challenges individuals with incontinence face on a daily basis. multidiscipinary meeting to educate innovators and heighten interest in innovation for continence among all stakeholders including: engineers; venture capitalists; healthprofessionals; individuals with incontinence; and scientists in various disciplines. The Simon Foundation for Continence holds its second international “Innovating for Continence: The Engineering Challenge” conference, continuing the theme and further evolving ideas set forth in its first conference in 2007. Attendees come from around the world for three days to share ideas from multiple disciplines, all in an effort to find new solutions for those with incontinence. The Foundation holds its third international “Innovating for Continence: The Engineering Challenge” conference, continuing the theme and holdings its first Poster Session and published an Abstracts book. Attendees come form around the world for three days and 30 industries are represented. 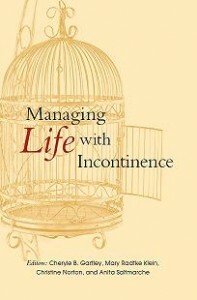 The Foundation launches its new book in Europe in April, Managing Life with Incontinence, and its companion website at: www.managinglifewithincontinence.org. The Foundation launches a website devoted to its Innovating for Continence conferences series at www.innovatingforcontinence.org. The Foundation launches a website devoted to providing consumers with information about the wide range or continence management products that are available in the US along with valuable resources. This website also links to the International Continence Society’s Continence Product Advisor website. 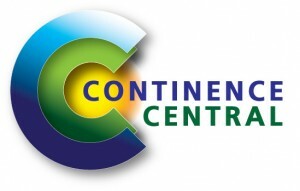 The new website is called Continence Central and is located at www.continencecentral.org. The Foundation holds its 4th international “Innovating for Continence: The Engineering Challenge” conference in Chicago. The conference also celebrates the 30th anniversary year of the The Foundation with a Gala dinner and Silent Auction on April 12, 2013. The Foundation was established July 5, 1982. The Foundation joins a coalition of organizations to promote OAB awareness and to have Congress pass a joint resolution to make November Bladder Health Month. The Foundation holds its 5th international “Innovating for Continence: The Engineering Challenge” conference in Chicago. Professor Alan Cottenden chairs the conference, and Dr. Christine Norton is the Honorary Conference President. The Foundation publishes a series of three articles on Stigma in EP Magazine. You can read these article here. The Foundation launches its Rude 2 Respect campaign, part of its Challenging Health Stigma program. As part of the campaign, the Foundation launches a Rude 2 Respect Facebook page and Rude 2 Respect website. The Foundation holds its sixth Innovating for Continence: The Engineering Challenge in Chicago, at the Millennium Knickerbocker Hotel, on April 19-21, 2017. Professor Alan Cottenden chairs the conference, and Dr. Diane K. Newman is the Honorary Conference President. A new online support community is launched with its partner, HealthUnlocked. The online community provides a needed resource for people with incontinence and their caregivers who wish to anonymously seek support and assistance with incontinence issues.